These are a few of the questions and comments I often hear from people who know there is a writer tucked away inside them but they don’t know how to tease her out. This blog is about using writing prompts to awaken the writer in you. Remember the first day of school when your teacher asked you to write a story called “What I did on my Summer Vacation” or a paragraph about you –your family, your hobbies, and so forth? Your teacher was getting to know you as a person as well as getting to know you as a writer. He or she could evaluate your writing skills, vocabulary, sentence structure, use of punctuation, spelling, and creativity with that beginning of the year assignment. If your teacher had you write a similar piece after Christmas break, he or she could compare the two pieces to note growth. A simple assessment. You can do the same thing. I look at my early writing and try to see what worked and what didn’t. For example, I can clearly see my skill in writing dialogue has improved over time. Additionally, as my understanding of point of view (POV) has grown, I can go back to earlier work and revise it accordingly. You can do this using a writing prompt. Try your hand at writing to the same prompt once a year or every few months. Put them in a file and pull them out once in a while to assess your own writing skills. The same prompt? Sure. Think about it. Though you may have had some similar experiences every summer as a child, each summer vacation held new experiences and insights as well. You may already have a sample. Do you write a Christmas letter every year to include in your Christmas cards? Pull those letters out. Look past the content and study your writing. Ever have a tough time getting those creative juices flowing? Writing prompts are often used as warm up exercises in writing. Engaging in writing of any sort will engage your brain. While writing to the prompt, you will likely find yourself thinking of other writing you want to do or the prompt will trigger an idea about something totally different. For example, even in the midst of writing a novel, I sometimes use a prompt to get me in my “write mind.” While writing Breathing on Her Own, I warmed up with a prompt called “Home Sweet Home.” The directions said to write a story about a remodeling project you undertook. I completed the exercise writing about the time my husband and I tried our hand at wallpapering the bathroom. While composing it though, my mind flew to Laney’s house in Breathing on Her Own. With the injuries, Laney sustained in the accident, she would be in a wheelchair when she came home from the hospital. What modifications would they need to make to her house to accommodate her? Of course you can create your own list of prompts if you like. Some authors keep a running list of interesting topics, names, communities, or situations. If you are not sure where to begin, here are a few ideas for you to check out. I often write to the topics presented by Chicken Soup for the Soul. Two of those “exercises” were accepted for publication. The prompts are descriptive and offer suggestions for the direction you might take. I use the prompts as exercises even if I don’t have a great story to share. Brian A. Klems offers great prompts though the online Writer’s Digest. One of the perks is that you can write to the prompt, post it in the comment section and get feedback from Klems as well as other writers. Wish you could slip back into Mr. Lopez’s English class? Pick through these 180 prompts to get those creative juices flowing. 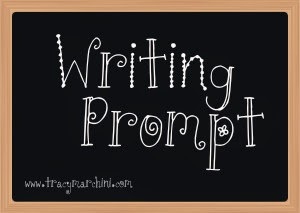 Interesting prompts that include scenes, objects, and characters. This is the adult version of Mr. Lopez’s class. Yep, the B-I-B-L-E. Use your daily reading in God’s Word to trigger your creativity. Use a verse from Proverbs or a chapter in Ecclesiastes as your writing prompt. Try your hand at writing your own Psalm. And here is a great one to get those creative juices flowing. Read a parable Jesus shared and retell the story from the perspective of one of the characters. One of my favorite examples of this was when a friend wrote the story of the Good Samaritan from the victim’s point of view. And you might want to take a character or story from the Bible and create a modern day version of it. They make movies out of those, by the way! Today I have asked a fellow writer, Hallee Bridgeman to share how she writes. I first met Hallee at a book signing in Kentucky. 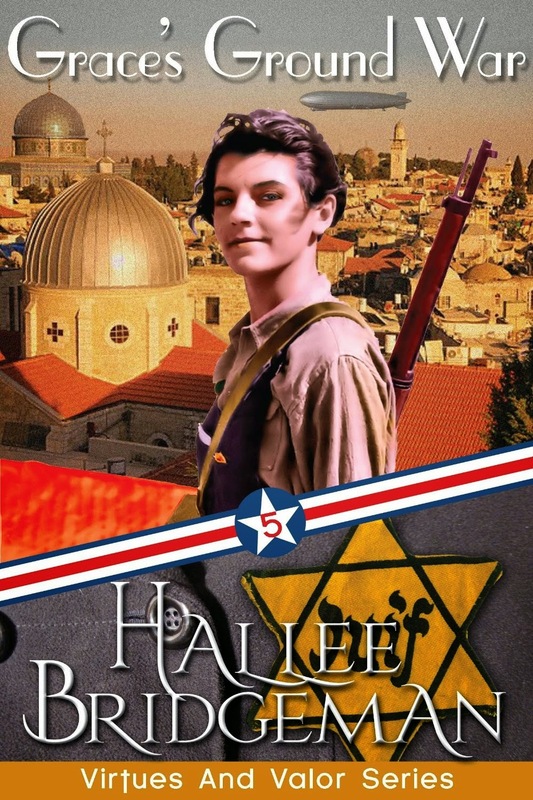 Hallee Bridgeman is a best-selling Christian author who writes action-packed romantic suspense focusing on realistic characters who face real world problems. Her work has been described as everything from refreshing to heart-stopping exciting and edgy. One of the qualities that helps me write so fast is that, when I write, I get completely immersed in my scene. I can see it, hear it, smell it, feel it. If my character is eating, I can taste it. It’s as if I’m there, and all I’m doing is transcribing what I’m seeing, hearing, feeling, tasting. I can barely write fast enough to convey what I see. That works great just for moving the story along and getting the plot out. But, when I go back and read what I’ve written, it’s basically all action. There is very little scene setting, almost no emotion, and few thoughts. It’s all, “She walked into the room, she said this, she walked out of the room.” There’s nothing about how she’s feeling as she walks into the room, no description of the room, and almost no motivation for what she might have said. Here is an example. The following scene is rough and unedited. It is my “raw” writing – and has not been gone over since I first put the words down. The scene: this is the fifth book in my Virtues and Valor Series, Grace's Ground War, which released on January 19th. We’re in 1941 in a plane above the fictional forest surrounding the fictional town of Valeurville. Ruth Aubertin is the main character, her codename is Grace, she is with another member of the team codenamed Mercy, and also with her brother Matthew. She is parachuting into Occupied France to go provide trouble for the Germans – blow up railway lines, interfere with communication, spy out intelligence, etc. Cool evening air billowed into the interior of the plane. Ruth the fuel that made her think of the burning kerosene lamps they would light at night when she was a girl. She placed a hand on Mercy's shoulder and leaned forward to speak in her ear. "Godspeed, sister. I will be praying for you and our mission." Mercy did not reply, but reached up and covered her hand with her own. At the go signal, Matthew stepped out of the door, followed a few seconds later by Mercy. Ruth did not pause, though she wanted to. Instead, she drew from a well of courage and stepped out of the plane. The silence that surrounded her was almost shocking after the loud engines of the plane. She could still hear it, but the sound grew fainter and fainter very quickly. Now all she could hear was the rushing of the wind in her ears. She could see nothing. Instead, she used her other senses to help her determine when the ground would rush up and meet her. After executing a rough but mostly proper parachute landing fall, she rushed around, gathering her parachute and stuffing it into her kit bag. Once she got her bearings, she rushed to the edge of the tree line and entered the woods. She'd memorized the map of the surrounding area, so, using the small compass attached to the strap of her bag, she moved quickly, quietly, and efficiently through the woods. She would not travel with Mercy and Matthew. They had a different rendezvous point. What you don’t get in this scene, and what I added when edited this book, is that Ruth is absolutely, bone chillingly, terrified of flying. She can barely function in a plane. She’d rather face down six armed men without a weapon than get into a plane. As far as she is concerned, she hopes she dies in combat in France so that she never has to face getting onto a plane again. The sound of the plane is absolutely deafening. The smell of the fuel is nauseating. The landing of the parachute jump is the equivalent of jumping off of a 2-story building without a parachute. There are so many descriptors, so many thoughts, so many feelings that simply are not a part of this scene. And that’s because I wrote the entire 7-book series in about 8 weeks. And the thoughts and feelings and setting will have to be added in – at the time I wrote it, the plot was all that I cared about. That’s the first layer: the active plot. The second layer is the hardest part for me. Like I said, I see it, hear it, feel it, taste it. If I can, then surely the reader can, too, right? Yeah – not unless I tell the reader. So what I have to do is weed through this plot that I’ve kind of just tossed onto the screen and figure out what needs to be added in. What kind of descriptions do I need to set up this environment just so? 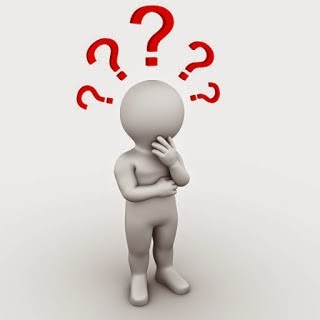 What kinds of thoughts will help explain the character’s actions? How is the character feeling while they’re jumping into utter darkness, 2,000 feet above unknown ground? Going through what I’ve written actually takes me longer than the initial writing. It’s hard work for me, while the writing the story is actually easy. So, I painstakingly go through scene by scene and try to fill in all of those details that are so important to the story. Once that second layer is built, I have to let it sit for a few days. I can’t immediately go back to it, because my experiences deep inside my muse are so fresh, I’ll miss something that’s missing. To apply the third layer, I have to read it out loud. It’s strange how much you catch when you’re hearing a story versus reading a story. The brain, which fills in the holes of what’s missing while reading can’t do it while listening. So, I read it out loud to my husband, and I catch little inconsistencies, poor scene setting, missing emotions, wrong dialogue. Now when it sounds right, I know that it will read right to someone who didn’t experience it all in my head with me. Only after I’ve read it out loud does it go to my professional editors. Even through all of these processes, there are still things the editors catch that I’m missing. When their edits come back, it has usually been long enough since I experienced that story that I can read it with fresh eyes and experience the flow of the story and the execution of the plot. It’s fascinating how smoothly all of those layers meld together into a well executed story that is hardly recognizable to that first raw draft. Hallee loves coffee, campy action movies, and regular date nights with her husband. Above all else, she loves God with all of her heart, soul, mind, and strength; has been redeemed by the blood of Christ; and relies on the presence of the Holy Spirit to guide her. She prays her work here on earth is a blessing to you and would love to hear from you. Be sure to check out all of her books on Amazon.com. So what’s a platform? When people in the publishing world ask about your platform they want to know what kind of influence you have to market your book. If yours is a work of non-fiction, you may be asked about your expertise in the content of your book. If you are the leading expert on coins, then a book you write about coins will have a wide reach; a built in audience. There was a time when fiction authors were not asked much about their platform. That has changed due to the growing number of indie—independently published—authors and the magnitude of technology based social media sights. What success have you had with previously published work? This is intimidating to the new author. Be honest. Acknowledge the fact this is your debut novel. If you are not active on social media, your publisher will likely want you to join. But here’s the deal. It is called social media for a reason. It is social. People want to interact with you. Not your book. Oh, sure, I post on Facebook tidbits about Breathing on Her Own. The book is part of me. But I have an author page to talk about writing and about the book. There are a number of options for you to set up a website. Mine is still in the works, but it is a great place for people to learn more about you and your writing. Through it they can contact you, keep up on your latest publications, and follow your blog. Which brings us to the next question. A blog is a great way to introduce people to your style of writing. It is also a wonderful place to connect with writers and readers in your genre. Goodreads is kind of like being part of a big book club. Through it you can find out what readers like and don’t like. It is not a place to self-promote your book, although you can participate in giveaways and interact with readers of your book as a Goodreads author. Do you have a newsletter? Hmmm…neither do I. But I know many people who send out email newsletters on a regular basis to their email list. It is a great way to connect with your readers. It sounds like a lot to do…and it is. But you should only do those pieces you can do well. And many of the technology pieces can be linked so that you can post once and have your message show up several places. Write the best novel you can write. The rest will come. Trust me. 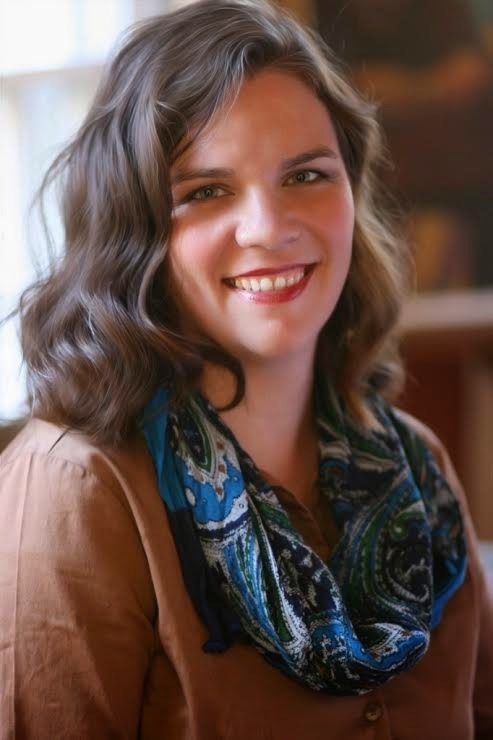 Please join me next week when Hallee Bridgeman shares her writing process on A Novel Creation.